Showhomes® - America's Largest Home Staging Company. For most people, the purchase or sale of a home represents the largest investment of a lifetime. Did you know that only 10% of people shopping for a new home have the vision to see their belongings in another house? Home staging brings a home to life and can be the key to creating an emotional connection in a potential buyer. Showhomes was a pioneer in home staging and continues as the leader in this fast growing industry. We began our business in 1986 with the concept of transforming vacant houses - often seen by buyers as stale, lifeless, unappealing - into fully-furnished, inviting, valued Showhomes. Now in our third decade of service to Homeowners and their Realtors, we've become America's premier home staging service coast-to-coast. Through our nationwide franchise network of home staging experts, Showhomes has helped over 30,000 Homeowners and their Realtors sell homes valued at over $10 billion! Every major national media outlet in the U.S. has praised the work of Showhomes, the company's work has also been featured on The Today Show, HGTV and the Travel Channel. Our management team, headquartered in Nashville, Tennessee, has broad experience in real estate, design, customer service and franchise operations. We're dedicated to bringing you unparalleled expertise, responsiveness, professionalism and results. Our Home Staging team in North Shore - Barrington would be delighted to put our real estate savvy and the Showhomes proven business model to work for you. Whether you are a home owner, realtor, developer or prospective home manager, we have the services and resources you need. The Showhomes team includes experts in marketing luxury properties, staging homes for maximum impact, placing and training home managers and helping home owners get the most value. North Shore - Barrington Showhomes has received the following awards and certifications. Showhomes matches high-end vacant homes for sale with people who have beautiful furniture, artwork, accessories, and need temporary housing. We can provide a live-in professional caretaker who cares for your home and keeps your home in show to sell condition while giving you the peace of mind that your home is safe and sound. What does all that mean to you? Great staging at a fraction of traditional staging costs paid at closing, a reduction in your overall carrying costs, care of your home from the inside and out, statistically faster sales and significantly higher offers than a similar vacant home that is for sale. Showhomes also provides up to $5 million in additional insurance coverage for you and your home. Experienced Real Estate Agents know that a home that is beautifully staged tends to sell faster than a house that is not. Also, vacant houses are often perceived to have a lower value than homes that are staged and can often receive "low-ball" offers from buyers who perceive that the owner is desperate to sell. Showhomes provides customized staging solutions tailored to each home. Staging options include design and decorating by staging professionals, whole house staging or partial home stagings as well. Showhomes is America's Leader in Home Staging with a proven method to stage and market your home for sale. Staging is the most effective way to sell properties in today's market. "Home staging is no longer optional in this real estate market, but a MUST. It's what will make the difference in whether your home sells or not." - Real Estate Mogul Barbara Corcoran In today's real estate market, buyers have lots of choices when it comes to buying a home. Successful real estate agents know that beautifully designed and staged homes have more buyer appeal than vacant or non-staged homes. Statistics have shown that staged homes sell faster, bring higher offers and create happier sellers. Staging is the best marketing strategy available with proven results. Interested in a new look for your home? Love those designer makeover shows and wish someone would makeover your home? Are you selling your home and need help making it look perfect for showings? Interested in staging to get the "model home" look that captures premium buyers? If you're looking for some design ideas for your current home or have a home on the market for sale that needs some makeover magic, we can help. Staging your home by a professional stager is the most cost effective way to refresh your home. A professional stager can help with decorating trends, furniture placement, color choices, home improvement and much more. Whether you're ready for a new "look" or selling a home, Showhomes can help. No one wants to spend money on the home they are getting ready to sell. However, most buyers are looking for a move-in-ready house with fresh paint and flooring. Very few buyers want more work and expense to update the home they will purchase. To appeal to the broadest base of buyers and to increase the value of your home, a few changes can provide the greatest return on investment when selling your home. Beyond basic de-cluttering and cleaning, Showhomes can assist with making these important changes for you. Upon entering the driveway of this remarkable estate, you are greeted by mature trees, and the beautiful lake! Walking in the front door you will be amazed by the views! The grand formal dining room has floor to ceiling windows with a gorgeous view! The spacious kitchen has an wonderful area for entertaining guests in front of the fireplace, and a great four seasons room where you can enjoy your coffee with a view. The large great room has a wonderful fireplace, and a hidden projector screen, and is open to the beautiful solarium! Also on the first floor are a his and her separate office spaces, along with w first floor master with a one-of-a-kind bathroom, and large dressing rooms. This magnificent home has six additional bedrooms, 7+ bathrooms, a pool and a pool house, and a private beach with a boat house! This is truly a one-of-a-kind property set on a beautiful piece of land! Welcome home to one of Lake Forest most beautiful homes! This home is ideally located in-town and has a lot to offer. The architectural details throughout the home has been extraordinarily preserved and features a remarkable 3-story octagonal tower and a stunning arrangement of elegant rooms. Throughout the home you will notice the 11 foot ceilings, seven beautiful fireplaces, five of which are either antique Italian carved marble or solid slate. You will also see incredible ash and walnut flooring and woodwork, including a rare African mahogany staircase and library wainscoting, all in impeccable condition. The gorgeous family room, handsome den, master bedroom and the sunny kitchen have stunning views of the gorgeous lawn, blue stone patios, and the magnificent pool and pavilion. There are five additional bedrooms on the second floor. The lower level is home to a fantastic wine tasting room, large recreation room, media room and an additional play room. There is so much more to this home once you step inside! Do not miss out on this opportunity! The wonderful circle drive leads you to this prestigious stone home. The foyer is open to the gorgeous dining room, airy formal living room, and the solid wood office with beautiful wood floors. The family room has amazing wood beams along the ceiling, a wonderful fireplace, and is open to the large eat-in kitchen that has floor to ceiling windows allowing plenty of natural light! The second floor is home to four of five bedrooms suites. The master suite is fit for a king and a queen, with a fireplace, and a large walk-in closet. The master bathroom is very spa-like with a large soaker tub, walk-in shower, and his and her vanities. The lower level is fully finished and is a wonderful place to hang out and entertain. You will not want to miss out on this AMAZING opportunity! Lovely renovated Lake Bluff Colonial in Tangley Oaks. Freshly painted, floors done, and new light fixtures installed. The main floor has a spacious formal living room, dining room, and a great family room overlooking the yard. All bedrooms are located on the second floor, and the partially finished lower level is perfect for a recreation room, or playroom! A deck provides a wonderful area to retreat and relax! You will not want to miss out on this opportunity. In this home, you are truly living the good life! This modern luxury new construction home has all of the bells and whistles that one needs to live the high life! Inspired by Frank Lloyd Wright and updated for today's buyers, this contemporary home is set in an area close to the forest preserve that offers wildlife to come into your backyard! The soaring two-story home has almost 8,500 square feet of beautiful living that includes 6+ bedrooms, 6 1/2 bathrooms, and open living spaces. The two-story great room has a custom two-story fireplace which will leave all of your friends wanting more. There is a formal dining room with a Butler's pantry, high-end kitchen which features names like Scavolini, Viking and Wolff, a 64' quartz island, and floor to ceiling cabinetry. The master bedroom is truly a retreat which includes its own sitting room, and a blissful spa-like master bathroom. The lower level is home to the fully finished basement with heated floors and plenty of additional entertaining space. Last, but not least, is the outdoor living room with a wood-burning fireplace, along with a 2+ and 1+ attached garages! You will be living your best life in this AMAZING home! This sensational Nantucket-style home was built by Orren Pickell, and has six spacious bedrooms, five full bathrooms, and two powder rooms. The main floor includes a formal living and dining room, large gourmet kitchen and a gorgeous sun room. The second floor is home to five spacious bedrooms which includes the luxurious master suite. The fully finished basement has a recreation room, exercise room, and a bar, along with the sixth bedroom! This wonderful home as too many great features to list, you must see this home before it's gone! This newly renovated home is set on a gorgeous fenced-in lot with mature trees, and a wonderful brick patio. The eat-in kitchen has granite counter tops, new stainless steel appliances and a great center island breakfast bar. The family room has high vaulted ceilings and a wood burning Vermont stove, and opens up to the heated sun room that allows for views into the backyard. The grand master suite has two large custom closets, a private balcony and a gorgeous bathroom that is complete with a steam shower, double vanity and a great soaking tub. There are three additional bedrooms on the second floor. Last but not least, there is a finished lower level that offers a large recreation room, powder room, and an ample amount of storage space. This is truly a great home in a fantastic neighborhood in a convenient location, closet to parks, schools, shops and transportation! This gorgeous property is situated on almost 3 secluded acres with pond views. The exterior of the home is built of lannon stone and cedar, and has been beautifully maintained. The formal living room has bay windows that fill the room with natural light. The lovely dining room is situated near the year-round sun room that has views of the pond and beautiful acreage. The kitchen has high end appliances, granite counter tops, and a wonderful fireplace. The large master suite has plenty of closet space, and a wonderful master bath! There are two additional bedrooms on the second floor! This is a must see property! Gorgeous Deluxe home in prestigious Belle Foret luxury enclave featuring grand room sizes, fine amenities & tall ceilings throughout! Impressive two story foyer, formal Living Room, Dining Room and first-floor custom office! Newly refinished hardwood floors throughout the main floor along with fresh neutral paint. The amazing kitchen has high-end appliances and finishes is located adjacent to the spacious and sun-filled family room complete with a fireplace and fine luxury mill-work! The beautiful and romantic master suite includes a newer luxury bathroom, walk-in closet, plus a sitting area. There are five additional en-suite bedrooms! Amazing 10' tall ceilings in the lower level with a handsome kitchen, sixth bedroom suite, full bathroom, workout room, game room and recreation area! A sports enthusiast dream! The lower level is filled with natural lighting. The huge private yard has mature trees plus an awesome deck and patio with a built-in fire pit, gas grill and plenty of space to relax and entertain! Fantastic location! Just blocks away from schools, pool, park, tennis/paddle, and Golf Course! Great house for entertaining! Be prepared to be wowed the moment you enter through the custom front door. Over 10,000 square feet of finished living space with four car garage. Five bedrooms and Seven full bathrooms and one powder. This home is truly a spectacular custom built estate! This stunning home exudes character and pizzazz. Built to grand proportion and scale, appointments include a marble adorned foyer and a bridal staircase that welcomes you into the significant two story grand foyer. A gorgeous living room invites you to sit by the fire. The gentleman's library/office has built-ins and a fireplace. The recently renovated kitchen is a dream! The Open concept flows into a sitting area with an additional fireplace. The master suite is beyond fabulous with a sitting area, small kitchen, and a super sized master bathroom. The lower level hosts a wine cellar along with a tasting room. There is a walk out lower level with an indoor pool, exercise room, changing rooms/bathroom, a bar and a kitchen. This magnificent home also has its own elevator. Glorious views of the pool, lake and lovely grounds throughout the home makes this home a 10! Welcome to this luxurious five bedroom Georgian home situated on a beautifully manicured lot. This home has a beautiful formal living room, grand formal dining room, and a large family room. The chef-like kitchen has stainless steel appliances and plenty of room for entertaining all of your guests. There are four large bedrooms and a grand master suite. The finished basement has a recreation room and an ample amount of additional space for entertaining and hanging out. This is a great opportunity that you will not want to miss out on. This home is a rare find in Lincolnshire with five bedrooms, and 3.5 bathrooms! This colonial style home has spacious rooms starting with a wonderful family room with a fireplace, and large built-in shelves. The Living Room has a beautiful window that offers plenty of natural light, and is great for entertaining guests. The new spacious white kitchen has stainless steel appliances, multi-prep areas, and an eating area. The formal dining room has a fresh coat of a paint is ready for family dinners! There is a bonus suite addition off of the kitchen that offers a spacious den and a first floor bedroom suite! The second floor is home to the large master bedroom suite, and three additional bedrooms! This is a phenomenal home on a great lot! Welcome to this impressive home with great curb appeal located on a quiet cul-de-sac! Walking into this home, you are invited with an open floor plan to the formal living room and formal dining room. Enjoy the newly refinished rich hardwood floors and an abundance of windows that offer fresh, natural lighting. The kitchen is open to a dramatic two-story eating area with a gorgeous stone fireplace and skylight. The family room is adjacent to the kitchen and offers views to the large backyard along with the patio. A first floor office offers built-ins, lots of natural light and French doors. The second floor features a master suite with his and her walk-in closets, vaulted ceiling and a spacious master bath with walk-in shower and a large whirlpool tub. Additionally there are four generously sized bedrooms, laundry room and two bathrooms. The full finished basement features lots of play space as well as an additional bedroom and full bathroom plus plenty of storage space. Enjoy the backyard from the screened-in porch or brick paver patio. The playful backyard is great for all of your outdoor fun. Welcome Home! Recently updated with designer quality updates that elevate this beautifully landscaped solid brick/stone home to the next level. Hardwood floors all freshly stained with a gorgeous dark stain. New 2017 gourmet kitchen featuring brand new white cabinets, Taj Majal quartzite counters and backsplash, top of the line appliances- built in Wolf steam oven, Sub-Zero Frig with built in water filter/dispenser, Bosch dishwasher and designer light fixtures exemplify quality and style. Additional features include an open Kitchen and Family Room floor plan, three stone fireplaces, 10' ceilings on the first floor, full appointed closets, first floor study, lower level with a wet bar, exercise/media room, recreation room, fifth bedroom and a bathroom. The extra deep yard has excellent exterior lighting which highlights the stone patio with a sitting wall and includes lush, mature plantings. Other new qualities include: Mudroom, new lower level plank tile flooring, garage door and so much more. Fabulous walk-to-train, schools, park, shops & village location! This new construction home is truly one-of-a-kind! Walking in through the front door you are welcomed with a beautiful large foyer that connects to the formal dining room with tray ceilings, along with the formal living room that has a gorgeous fireplace! The kitchen is built for the best of chefs, and has high-end finishes throughout including a built in dish washer, refrigerator and the highest complimenting appliances, and is open to the grand family room. On the main floor you will also find the cherry paneled officewith gorgeous built-ins. The second floor is home to the lovely master suite with jaw-dropping closets and dressing rooms, along with its own sitting area. The master bathroom has a double vanity, large soaking tub, and a walk-in shower with custom tile-work. There are also three bedroom suites located on the second floor. The finished basement includes a media room, great room, au pair suite, and a wine cellar. The exterior of this home is made of stone with limestone sills, a carved limestone front door, and it highlighted by copper gutters.This is a quality built home from the inside out and is situated on a beautiful wooded lot. Truly an A++ home! Move right into this BRAND NEW HOME in desirable East Lake Forest!! This amazing 5100 sq ft home by Crossroads/Bluesky sits on a gorgeous, professionally landscaped 1.36 acre wooded lot. Defined by high quality, clean lines and interesting architectural details, you will fall in love! Five spacious bedrooms, 5.1 gorgeous high end custom baths! First floor boasts gracious Living and Dining rooms, 2 story foyer, fabulous Family room, Office w built-ins & spectacular view. Private 5th BR w full bath! Kitchen with sun drenched Breakfast room, walk-in pantry, mudroom with built-ins. Second floor includes Master Suite with fireplace, beautiful bath and four additional bedrooms, all ensuite and second floor Laundry room. 1100 sf of additional living in the Lower level - Rec room with fireplace, Wet Bar, 6th Bedroom/Exercise room with full bath. High end finishes and appointments throughout! Side entry 3 car garage and 3 beautiful patios. Really nothing left to do but move into this amazing home with classic Lake Forest style! This gorgeous five bedroom, three and one-half bathroom has been totally renovated and updated! Set on a very private, gated half acre of land, this wonderful home features light and bright spacious rooms with crown molding, and custom built-ins. There are gleaming hardwood floors throughout the home, a wood burning fireplace highlights the formal living room. The stunning white kitchen has stainless steel appliances, and a separate breakfast room for your family dinners. The master suite and three additional bedrooms are located on the second floor, and include luxury bathrooms. The lower level of the home is finished and includes a spacious fifth bedroom, full bathroom, office space, and a large recreation room! The stone patio offers a great area to host get together and take in the beautiful yard. This incredible three bedroom, five bathroom home sits on a wonderful lot. The first floor is home to the master suite that has tray ceilings, and a bathroom with a whirlpool tub and separate shower and a large walk-in closet. There are gleaming hardwood floors throughout the home, soaring vaulted ceilings, a fireplace on the main floor sets the scene for a cozy living room. The main floor has an open concept with lots of windows to provide natural light. The kitchen has a movable island, granite counter tops, and stainless steel appliances. The second floor has two additional bedrooms with private bathrooms, and there is also a bonus room. The full finished basement has a bathrooms, and tons of storage space along with a cedar closet and wine rack! You will not be disappointed with this gem of a home! Designed for style, comfort & convenience. Enjoy a tranquil setting & easy living in this premier North Shore Maintenance Free community, Academy Woods, located on the grounds of the former J. Ogden Armour estate. Services include landscaping, snow removal, exterior painting & more. Architectural features include tray & volume ceilings; walls of windows. Kitchen complete with wood cabinetry, planning desk, granite, stainless appliances, generous table space. Formal dining room currently a comfortable office. 1st floor Master bedroom suite with bath. Finished basement has space for your workouts, pool table or recreation area. Not Just A Home, A Lifestyle! Beautiful light filled home located on a quiet cul-de-sac with a fenced yard. This bright two story home welcomes you in with a spacious living room, family room and kitchen. The huge family room has a stone fireplace for room to entertain. There is also an extra large Florida room with vaulted ceilings and access to a deck for relaxing and enjoying the property. The master suite has walk-in closets, a soothing Jacuzzi tub, and a custom steam room with double shower heads! There are many recent updates throughout the home which include, like new hardwood floors, new appliances, new doors and hardware and fresh paint! Wonderful traditional Lake Forest home built by MacNair. This home offers an updated kitchen & master bathroom plus hardwood floors throughout 1st and 2nd floors. The Great family room has a brick fireplace and custom wood mantle, there is also a wet bar and glass doors with access to two blue stone patios and the lush landscaped back yard. The family room opens to the adjacent updated cherry kitchen with granite counters, island & large breakfast area which also opens to the patios. The office/library, located on the first floor, can also be used as 5th bedroom that has an adjacent full bathroom. The spacious master bedroom suite has a lovely dressing area with a custom walk in closet and an updated master bathroom with a large walk in multiple head shower, separate commode, double sink and spa bath tub. You will find three more generously sized bedrooms on the second floor. The large finished basement also offers a recreation room, fourth full bathroom and a large cedar closet for out of season clothes. There is also a three car attached garage. This home is convenient to the gorgeous downtown, shopping, schools and two commuter train lines. Hurry in, you don't want to miss out on this opportunity! Located on a quiet corner lot with a nice tree lined street, this three bedroom, two bath home has a lot to offer. The eat-in kitchen has Decora cabinets, under cabinet accent lighting, Corian counter tops and back splash, pantry with pull-out shelves, and GE and KitchenAid appliances. Hardwood floors are found throughout most of the home. The formal living room has a gas log fireplace flanked by built-in display cases. The spacious formal dining room is open to the family room. The master bedroom is located on the main floor and has a nice walk-in closet. Main level full bathroom has been updated with a double bowl vanity, and shower with Corian surround. An over-sized second bedroom with a fireplace and an additional third bedroom are located on the second floor. Welcome home to this sweet English cottage style ranch on a beautifully wooded lot! The gated entry leads to a charming walkway and welcoming porch. The large foyer has views through to the living room with a large window seat and beautiful built-ins and a fireplace. Off of the living room there is a den, and there is also a dining room that leads to the gorgeous backyard. The open kitchen has granite counter-tops, and is joined by the family room that has cathedral ceilings and a stone fireplace. The master bedroom over looks the front courtyard, has a fireplace, and a luxury master bathroom. This home boosts three more bedrooms and a 3 car garage. This is a beautiful opportunity! Beautiful wooded corner lot in a wonderful Lake Forest neighborhood. The entry leads to all of the spacious living areas of this ideal family home. The roomy eat-in kitchen has granite counter-tops, new stainless steel appliances, and is perfect for family dinners! The home has been freshly painted throughout, has new carpeting, two remodeled bathrooms, large bedrooms with ample closet space and a fifth bedroom that could be an office. The fabulous family room has a raised hearth room and a wall of sliding doors that lead to a wonderful patio and large yard! This is a fabulous home! This stunning four bedroom, four and half bathroom luxury new construction has stunning finishes, design and mill-work. The fabulous white kitchen is complete with stainless steel appliances, a large island and is open to the family room. The elegant dining room and library/office have a gorgeous coffered ceilings. The large master suite has a spa-like bathroom with a large soaking tub, walk-in shower, and spacious walk-in closet. The second floor has three addtional bedrooms, laundry room, and two bathrooms. The third floor is home to a spacious bonus room! Lastly, the finished lower level has a fifth bedroom, bathroom, recreation room and bar! This home is located ina fabulous loaction close to town, the train, and schools. This is truly an amazing home! Beautifully renovated five bedroom, 4.5 bathroom home with top of the line cooks kitchen, great floor plan for entertaining, billiard room, formal living and dining room. The home also has a private first floor guest suite, billiard room, and a full finished basement with a wine cellar and plenty of storage space. The backyard is professionally landscaped and has a fabulous pool and fire pit! This is the home for you! This stunning stone and cedar home has high ceilings, and is very light and airy with an open feel. All bathrooms have been newly updated with beautiful marble stones. The family room has gorgeous maple bookshelves and cabinetry. The first floor also includes a bedroom and full bathroom. The entire second floor is home to the master suite which includes vaulted ceilings, big windows which allows for an abundance of natural light, spacious walk-in closets, along with a spa-like bathroom with a walk-in shower. The finished lower level has a spacious recreation room, a third bedroom and full bathroom with a walk-in shower, and loads of storage! This home is in a convenient location, close to the pool and tennis courts! This sprawling traditional home is perfectly located for views of the first and second fairways of the Wynstone golf course. The family room features a soaring ceiling and a stone fireplace and built-in media cabinets. A private master bedroom suite, and a study with a coffered ceiling are located on the first floor. The finished lower level has two wet bar areas - one with a Fifties flair. The sunroom and bluestone patio make outdoor entertaining a dream. This historic property once owned by Oscar Meyer was awarded 2017 recognition for thoughtful renovation and restoration by the Evanston Historic Preservation. 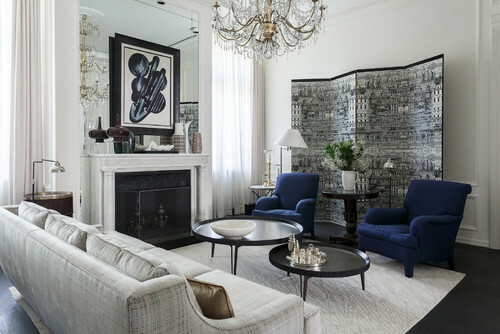 Staging the gracious interior spaces to meet the expectations of the modern buyer, while honoring the home's rich antiquity proved to be a design challenge. The Realtor had this to say: "Showhomes has turned an 'interesting' historic property into a true 'Showhome' for the ages. This was an enormous property, with enormous challenges in volume of furnishings, style selections, and color choices. The results were stunning, and I feel the value of the work done was definitely worth it." Home featured on WGN-tv, Crains, and Chicago Tribune. This new construction custom-built chateau sold in half the time prior to staging. Our elegant furnishings helped the home stand out in a local market crowded with gorgeous high-end homes. It is our deep commitment to authenticity and unwavering attention to detail that made this house a success. The Realtor had this to say: "Showhomes was absolutely amazing!!! They are current with style and thorough in detail." NEW CONSTRUCTION HOME SOLD IN ONE DAY! This new construction 1.3 acre estate sold in one day due to the relaxing and chic decor and exquisite accessories that complimented the exceptional finishes of this luxury property. The homeowner had this to say: "Showhomes was absolutely critical to the sale of my spec home in Lake Forest. They responded to my crazy timeline request and got my project staged beautifully in time for the showing that made the difference between getting it sold and having it sit on the market. Money well spent - a superb result! I would highly recommend giving them a try on your next home." Luxury living is no longer for the rich and famous. Live Large. Spend Small. Be a Showhomes Executive Home Manager. Our Signature Service. As a Showhomes Executive Home Manager you enjoy the good life for less, living in and maintaining a luxury home in show-to-sell condition. Your style and fine furniture add value to an upscale home on the market while you save a bundle-up to half of what it would normally cost to live in the house-with no long term lease obligation. Showhomes Chief Operating Officer Matt Kelton and Portland franchisee Catherine Chandler give the scoop. Showhomes Owners Shelley Barndollar and Lisa Gulliver talk through the do's and don'ts of staging your home during the holiday season. Santa Fe couple overcome obstacle to find success with Showhomes franchise. The husband-and-wife team combines business sense and design experience to operate their Santa Fe franchise. The home staging franchise is seeking partners to help the company grow in a booming market. Showhomes franchisees from the North, South, West and East discuss home design and staging trends that have stood out in each of their markets. The nation's leading home staging franchise celebrates brand accomplishments at annual conference in Santa Cruz, California and explores nearby growth opportunities in Bay Area. A home prepared by Liliana Warr, a professional home stager. Warr preps private residences like this one for sale in south Tampa. Franchise brand Showhomes provides helpful tips to prepare your home before the selling season. Showhomes rocks! Staging and a home manager are the best combo package for my vacant listings. Barbara is great! House looks great and got a very positive response from brokers today at the broker open house. Hope that is the secret sauce we need to sell the house. This is truly a top notch professional organization that gets real results. We have worked with them and they are producers, especially in a difficult market such as we are dealing with now . Five stars. Flexibility, responsive staff, pleasant homes. ShowHomes has brought out the best features of our House by updating our decorating and greatly increasing the Home's eye appeal. We get consistently favorable feedback from prospective buyers. We have utilized ShowHome's Home Manager option which greatly relieves the burden of preparing the house for visits by prospective buyers and allowed us to move to other quarters more suitable to our needs at our current age. Agents don't have to lift a finger to get the house staged and the home manager in. Also, it is great to have a brokers' open house sponsored by Barbara. The staging itself is beautiful. Hoping it will help sell the property shortly after the beginning of the new year. House was on the market for over a year and never sold...after seven days with Showhomes it got a fantastic cash offer and will sell in 45 days. What more could you ask for? Barb, the franchise owner, has been wonderful in securing homes that are appealing to me and supplementing furnishings that complement my own. As someone who travels extensively for business, it is greatly appreciated that she and her team make themselves available after regular business hours and on weekends to address any questions or concerns. Enjoying my experience thus far and would highly recommend Showhomes to friends and potential sellers looking for staging referral. Quick to respond. Very cooperative home manager. Nice furnishings. Very professional and knowledgeable people ! I just had a great experience with her company and the home managers she put in my listing. They did an awesome job - and it was a very reasonable price for the sellers. I do believe having them in the home, rather than vacant made all the difference. The house always looked great and they had lights on and showing ready every time. I am hopeful that she will be able to place the home managers in another home soon. They were beyond terrific. Just wanted to share with everyone. I just wanted to thank Barbara Bliss and her talented and supportive team for a job well done! While I was out of town, the Showhomes North Shore came into our family home and created a masterpiece. Rooms filled with beautiful furniture, accessories and art. I was blown away! And after six days on the Market our family home for over 40 Years was sold. I would highly recommend Barbara Bliss and the Showhomes North Shore team! Excellent job!!! Barbara and Ashley make a Really great team. Barbara is the genius in the decorating and Ashley is very easy and efficient to communicate with I highly recommend them and it is very clear to me that I would not have sold my house as quickly as I did if it weren't for them. Showhomes was very responsive to my needs and really came through for me on a tight schedule. I know for a fact that their staging work was critical in the sale of the home. Great job and very easy to work with. Just let them do their thing ... it works! Very responsive and professional team with excellent results!!! Barbara Bliss helped me sell 2 homes as soon as they were staged for top dollar. They are quick, put great home managers in and very accommodating. Great experience working with Barbara and team. They made the process easy. They found a quality home manager and staged our house beautifully. Highly recommend working with Showhomes! Flexibility and every little detail gets taken care of! You tell the seller what he needs to do to sell his house. It confirms what I, as a realtor, say to him. ShowHomes has turned an "interesting" historic property into a true "Show Home" for the ages. This was an enormous property, with enormous challenges in volume of furnishings, style selections, and color choices. The results were stunning, and I feel the value of the work done was definitely worth it. I'm a Realtor on the North Shore of Chicago. I've used Showhomes recently on 3 of my house that were not selling. Two of them have been sold. Yea! We're still working on the third. Barbara Bliss, with the help of Ashley Mazzetta, work tirelessly to make this happen. Barbara oversees every detail. No detail is too small. She works quickly, keeps in contact, and she has a great eye for design. Would I use her again? You Bet! I loved the way the home was staged. Love the peace of mind that there was a "home manager" that was soo nice, did't mind me calling last minute and even giving me some feedback of the showing if she happened to be home, plus and took such nice care of the home. We utilized Showhomes, Barrington to stage a newly built house in Lake Forest, IL. Our expectations were high, and all were met, or exceeded. Designers toured our home and developed a plan which enhanced our interior living space with high end furnishings. I recommend ShowHomes North Shore Barrington without hesitation. When I think of Showhomes I think of a True Professional. They have staged two homes that I have listed and have assisted me in selling them as fast as a Cheetah. They always come to mind when I have a gorgeous home that needs staging they just help do what my sellers have done make it absolutely Purrfect! Barbara and her team are great. The Dunn/Miller Team has made Show Homes a big part of our business for many years. We have many satisfied clients and homes SOLD because of the talents in staging the homes and the awesome home mangers Barbara personally selects for each home. This company goes above and beyond. They have a great eye for color and scale and create a look appropriate for the style of the home. I would highly recommend this company. Trying to sell your home without it being occupied is a challenging task. You have to find someone to care for your home, while they supply furniture to stage the house making it look good, provide security, keeping the property clean, and be willing to move out within 30 days of a sales agreement ........next to impossible. Not so with Showhomes. They find the perfect people to recruit as your "home manager" and work closely with you to make this a great and affordable experience for all. Just a comment; I am not a person that is easily impressed. I would highly recommend this company. Barbara and Showhomes exceeded our expectations and did an amazing job staging one of our properties. We will use them for any of our staging needs in the future. So flexible! You worked to meet our client's needs and that was critical. The staging furniture and accessories are perfectly matched to the property. The house manager has been working really well, glad to have someone occupying the property. Appreciated the refreshments for my brokers open house at the property. The agents who attended the brokers were extremely impressed with the staging results. My sellers appreciate that payment is due at the closing table, not up front. Did everything Barbara said. Started and finished well. Beautiful staging! Great communication! Nice reliable management! Friendly and trustworthy! Very pleased! Thank you! Love this idea. Have a vacant home staged beautifully and someone living in home. No fake set up. Nice home tenant that takes care of home and makes it still easy for showings. It is an economical staging solution for many sellers. Showhomes is very responsive and we have seen their service result in sales on several occasions. The staging looks fabulous. The new photos are great. The wine and cheese open house was a success and working with the property manager is seamless. Would definitely recommend working with Barbara Bliss and her ShowHomes team! Tons of energy, very responsive and always open to working with agents to make sure everyone's happy!!! Personal attention and guidance regarding the process. Not everyone is prepared for the change they are about to make. Barbara Bliss and her team did everything they could do to assure my family that we will be well taken care of and that there will be somewhere in the system that we will fit. Unbeknownst to us we fit the model very well and look forward to being the best showhomes managers on the North Shore. Onward and upward!!! Not one issue or problem after signing contract. Showhomes delivered. Every request or question was answered with a positive and enthusiastic response. Ashley was the perfect " go to " representative. Staged the entire home beautifully , Everything handled in a timely manner. Home manager always had the home ready to show. Gave the out of town seller a sense of security . A pleasure to work with. Staging was excellent. Home manager is working out very well. Every one involved from the company has been extremely helpful and truly aims to please. Friendly. Easy to work with. Very accomodating. You are very professional and do exactly what you say you will do. How quick and professional everyone has been. Plus their eye for the details are second to none! Good communication and very pleased with the staging process and the house manager. During an unusually harsh winter, I slept better at night knowing that my home was occupied and monitored for weather related issues. I also received very positive remarks from realtors regarding the condition and cleanliness of he house when it was shown. A unique and truly professional Home Staging & More Service that Has Proven to be the Best way to Market Unique and Luxury Properties in Today's marketplace,customized To your Exact style and location of Home. True to their word. Reliable, professional. Barbara and Ashley are terrific to work with. They are very understanding and can customize to budget, timing, and style, making the process very easy. Your firm has done everything that it promised to do. The house had several showings over the weekend with the outcome being two offers. Thank you so very much for the outstanding job that you did. The house is gorgeous! I am in shock! Thank you so much! Barbara and Ashley are wonderful! its Simple and no nonsense and 100% professional in a timely matter that obviously in my case was a Grand Slam in getting our Home sold Immediatly following the Staging ! You did in a few weeks or less what we tried to do for over 2 Years!! Thanks Millions ! The quality and style of the furnishings is excellent. After they set up the home it always is very neat and they always say yes to showing request. They treat the home with the same care as a homeowner. Showhomes was very accommodating in the entire process!!! The lively can-do and want-to-do attitude of Barbara and Ashley. Nothing was too difficult, too much trouble. You take such obvious pride in your work. Your enthusiasm is infectious. You can 100% tell it ALL matters to you. The lively can-do and want-to-do attitude of Barbara and Ashley. Nothing was too difficult, too much trouble. You take such obvious pride in your work. Your enthusiasm is infectious. You can 100% tell it ALL matters to you. I never answer surveys!! I answer yours with pleasure. Thanks you for your always upbeat and can-do attitude! Cooperation in getting it right for the client. How quickly you transformed my home to "show-ready" and moved in Home Managers who are committed to caring for my home. Very professional and responsive. I especially like their home management of vacant homes. It was a delight to work with both Barb and Ahsley who went above and beyond in service. Thank you ALL your help in this (transaction), you have helped us absentee owners out tremendously. You are energetic and efficient. You are fun to talk with and work with. The results are excellent. You keep your promises. You obviously want the agent to succeed which means success for everyone. You made our place look extremely attractive . Creative staging led twice to quick sales. Kind, friendly and very well organized. Pleasant and easy to work with the staff. Very professional, very prompt, great results. The home manager was extremely accommodating and kept the home very clean. I couldn't have been more satisified. The furniture was top shelf and made the home show much better. I would definitely recommend their services to other brokers! We had a $7.8 million listing that despite the excellent location, the house did not show well. After the transformation, people were so impressed that they were ready to buy the property with the furniture—that’s how well the design, color and style worked with the property. It not only cut the market time, but also kept the sales price high because it looked so expensive. One of my largest properties on Lake Michigan was staged by Showhomes and I was very happy with the service. It gave the home a high-end designer’s look. It was truly a Showhome! I have found Showhomes to be an invaluable tool to get houses sold. Within 2 months after they moved in, we quickly had offers on a house that had previously been on the market more than 18 months. We all know staging works, but Showhomes is a step above the rest. Your house manager was a pleasure to work with. Thanks for all your help. Not only have you exceeded my expectations but you have most certainly increased the value of my home. It was a real pleasure working with you and I will most certainly refer you to anyone who has a need for staging services. What makes your firm different is that you were timely and courteous; all I saw with your firm was cohesiveness and enthusiasm to get the job done with care, taking into account not only my wishes but what you as a professional thought would be best. The quality of the furniture exceeded my expectations. The follow up work that your firm has done has been tremendous. It is indeed rare when we encounter experiences with our partnerships that surprise us with results. In this case, Showhomes has truly added to our marketing success. After seeing Showhomes' commitment and the results, I am absolutely pleased. It was fantastic to see how this beautiful house came alive, and how they were able to highlight all of its features through great furniture and detailed staging. The home manager was a perfect fit. Anytime there was a showing advanced or on short notice, the home was meticulously prepared. Showhomes is definitely an asset to our marketing success, bringing real value. This house looks better with the Home Manager in than when the house was empty, I wish all my homeowners did this with their vacants! • Are you tired of dealing with Corporate America and want a more satisfying lifestyle? Interested in a business with multiple revenue streams and steady demand? • Do you love watching HGTV and going to Real Estate open houses just for fun? • Do you have a flair for home decorating and interior design? • Click on the link below to learn more about turning your passion into a thriving career! When a home is "staged", it's furnished and decorated in a way that's carefully designed to maximize the home's appeal to prospective buyers. What benefits does home staging offer to a Homeowner? A properly staged home has just the right quality and quantity of furnishings for a buyer to understand how rooms function and how spaces flow. Staging creates warmth, life, and positive emotion. Good staging avoids clutter or overly personalized decor that might be a turn-off to some. It maximizes the home's strengths while minimizing any shortcomings. Staging engages prospective buyers, increases their interest and perception of value. A prospective buyer becomes more likely to buy! Do you provide staging services for owner-occupied homes? Yes, we are a full service staging organization and can provide help for homes that are occupied either for sale or for those who just want to update the look of their property. What is a Home Manager? A Home Manager is an individual or family who assists Showhomes by living in a Showhome and caring for it while it's on the market. Showhomes painstakingly selects and trains each Home Manager in accordance with the system we've developed through three decades of experience. Why would I use a Home Manager to help sell my home? A Home Manager benefits the Homeowner by caring for the home and reducing the Homeowner's carrying costs. Some examples of carrying costs that a Home Manager would cover would be utilities, gas, water, and the ability to take advantage of the savings of our national insurance program. The Home Manager helps in the sales effort by readying the house for showings and through the added life and emotional appeal their belongings contribute. Homes staged with live-in Home Managers typically out-perform vacant homes by large margins. Is a Home Manager present during showings? No, Home Managers are not present during showings. Prospective buyers won't know that your home is even staged; it will simply look and feel like a homeowner lives in and loves the home. Everything is in its place and your home shows as well or better than it would if you still lived there. How is Showhomes different from others who offer staging services? Life sells homes. Buying a home is an emotional decision for most people and Showhomes is unique in the way it helps to sell homes. Using a live in Home Manager assures you that the entire home is staged to perfection and that it is always tuned up and in show-to-sell condition. Because of this, your home is far less vulnerable to low-ball offers than it would be if it were simply staged with furniture. Does Showhomes act as a Realtor? No. Showhomes provides staging services that make your home far more attractive to prospective buyers. Almost all Showhomes are listed by full-service Realtors. Showhomes does not represent buyers or sellers in the real estate transaction; that is the service your Realtor is trained and licensed to provide. Does Showhomes offer staging services without Home Managers? Yes. If you are interested in staging services without a Home Manager contact your local office. Pricing varies by location. Is smoking allowed in a Showhome? No. Our promise to homeowners is a smoke free home that appeals to the largest percentage of prospective buyers. What happens when a Showhome sells? As soon as you accept an offer, we begin the process of relocating our Home Manager. Unlike a tenant, our Home Managers are under contract to move on short notice and once we succeed in selling your home, we are often ready to begin staging another home. We return your home to you in as good or even better condition than when we received it and the new buyers get a fresh, clean home to move into. What are the benefits of being a Home Manager? Flexibility, low housing costs, short or long-term housing solution, no long term committment. Who provides the furnishings for a Showhome? A critical requirement of Home Managers is that they have an inventory of fine furniture and accessories that meets our quality standards that they move from house to house. Showhomes supplements furniture as needed for each home. How can I find out about becoming a Home Manager? Visit the Home Manager section of our website or click on "Locations" to talk to your local representative. How can I learn more about your services to Homeowners? Click on the locations page to contact your local representative for a free consultation. How do Showhomes services benefit a Realtor? Showhomes helps homeowners and their Realtors sell vacant homes faster and for higher prices. In today's market, staging a home with a live-in Home Manager can steeply reduce the amount of time the home sits on the market and bring in offers far above what a homeowner would get if the home remained vacant. For a Realtor, this means less hassle, faster sale, higher commission and a happier homeowner. Is there any cost to the Realtor? No. Showhomes is free to Realtors. How can I learn more about your services to Realtors? How are home showings arranged? Realtors who use us often comment that Showhomes are the easiest to show; often they are easier to show than owner-occupied homes. All Showhomes are available to show by appointment. Simply call the local Showhomes contact and make the showing appointment and we'll ensure that the home is available to show. What markets does Showhomes serve? Showhomes is growing! To see what markets we serve, click on the Locations page. How can I learn more about Showhomes franchise opportunities? Showhomes is a fun and exciting business that helps others. If you have a love of real estate and people, click on the Franchise Opportunities page or visit showhomesfranchise.com for more information. We would be delighted to put our real estate savvy and the Showhomes proven business model to work for you. Whether you are a homeowner, realtor, developer or prospective home manager, we have the services and resources you need. The Showhomes team includes experts in marketing luxury properties, staging homes for maximum impact, placing and training home managers and helping homeowners get the most value. A Showhomes Home Manager is a person or family with beautiful home furnishings who lives in a vacant home for sale. In exchange for keeping it clean and letting Realtors show the home, Home Managers get dramatically reduced monthly fees, far below the market rate. Competition. With 9 out of 10 buyers previewing or finding their homes online, presentation has never been more important. Staging your homes gives you a competitive edge over your competition. It also reduces low ball offers that buyers associate with vacant properties. Known for our success in staging vacant homes, we also help sellers with owner occupied homes. Whether it's a home on the market for sale or a new home, we can provide staging expertise to showcase your home. For occupied homes on the market for sale, we can re-design and re-purpose the existing furniture and decor of the home, and using your furnishings, create a "model home" look that buyers respond to. Staging enhances the presentation of your home and makes it more competitive in the market place, helping to capture a faster sale at a premium price (vs. a non-staged home). A professional stager can also provide useful information and often resources to help with packing, moving, de-cluttering and organizing, making your move easier and preparing the home for staging. Staged homes sell faster and for premium prices, bringing a greater net gain to the table for sellers. While that favorite shade of purple was perfect for you, it may be a turn-off for that potential buyer. With a Showhomes Update we can provide the perfect changes with our Exclusive Color Palettes which are on-trend neutrals that will not distract from the outstanding features of your home and will provide mass appeal. Your Showhomes staging professional will help select the perfect palette for the look and feel that will place your home above the competition of similar homes for sale. Showhomes is America's Leader in the Home Staging Industry. With over 30 years of experience, and a network from coast to coast, the Showhomes network has helped sell over 30,000 homes worth over $10 billion. We're proud to have partnered with many local and national real estate brands such as Keller Williams, Coldwell Banker, Berkshire Hathaway, Re/Max, Century 21 and more. We've successfully helped thousands of realtors, homeowners, investors, banks and builders market and showcase their listings for a faster sale and higher price. Our service speaks for itself. Our results pay for the service. But we don't just do homes for sale, we're happy to help you with your new home too! If you're craving a new look, hungry for some new ideas or inkling to have a "makeover" of your own, we can help. Showhomes staging experts can design, re-design and provide DIY information or a full service "makeover", transforming your home in as little as 1 day. Showhomes is the leader in decorating and staging; we can help you create the home you'll fall in love with which suits your lifestyle and personal preferences. Worn or dated carpeting is the #1 turn-off for home buyers. The thoughts of selecting, purchasing and dealing with installation will have a potential buyer quickly check the home off their list. With a general 3 to 1 return on investment, fresh and new carpeting can be the key to a faster home sale. Coordinating with our Exclusive Showhomes Color Palettes, our light neutral warm and cool tones of carpeting will not only be pleasing to your budget but will give your home a true designer look. All home sellers want multiple offers and a quick, profitable sale. A Showhomes Update can be the answer to what you've been dreading. From palette selections through job completion and installations, we not only provide staging design but bring in qualified contractors to quickly and painlessly prepare your home for sale. The value Showhomes brings and the return on investment is why Showhomes is the nation's leader in Home Staging and Design. We reserve the right to modify this policy from time to time and will mark new versions with a corresponding effective date. We recommend you visit the Showhomes website to review any changes in our practices. We may collect personal information from you on our Sites or through any other digital or personal communication with you. Information collected by us is voluntarily provided by you and may include information such as your name, email address, and physical address. Our Sites may also collect general information about your technology interface or preferences (such as the type of browser used or the files requested). Our Sites are not designed for children and we do not knowingly collect information from any person we know is under the age of 13. How is User Information Used and Shared? Providing information about your usage or preferences to our third-party vendors and providers. We may provide user information to third-party service providers or vendors for purposes of, including without limitation, initiating direct marketing programs on our behalf, data tracking, maintenance or development of our Sites, development of online services or customer service, or other contracted promotional opportunities provided to our users. We will not share your information with third parties to directly market their products to you. We may share this information with any subsidiaries, licensees, suppliers, distributors, affiliates, assigns, successors, or other related entities and their respective owners. We may also share your personal information in connection with law enforcement requests or in response to investigations, subpoenas, court orders, or other legal process to establish or exercise our legal rights or defend against legal claims or as otherwise required by law. We may also disclose your information to a third party as part of the reorganization or a sale of the assets of Showhomes, or its subsidiaries, divisions or franchisees. Any third party to which Showhomes transfers or sells the Sites or related assets will have the right to continue to use the personal and other information that you provide to us. We may also use third-party vendors, such as Google Analytics, to advertise to our users online. These third-party vendors may display Showhomes advertisements on other websites based on your internet usage. More specifically, these vendors use first-party cookies (such as the Google Analytic cookie) and third-party cookies (such as the DoubleClick cookie) together to inform, optimize, and serve ads based on your past visits to the Site or another site affiliated with Showhomes. Any information that these third parties collect via cookies is not linked to any personally identifiable information (name, address, email address, or phone number) we collect or you provide on the website. You can opt-out of Google Analytics for Display Advertising by using Google's Ads Settings. We maintain administrative, physical, and technical safeguards for all user information collected on our Sites. How Can Users Limit Information Collected? You may limit the collection of "cookies" from your Site usage through your browser settings. However, this may disable our ability to provide you with the most relevant information regarding the Sites. California Civil Code Section § 1798.83 permits users of our Sites that are California residents to request certain information regarding our disclosure of personal information to third parties for their direct marketing purposes. To make such a request, please contact us via the Sites. EVANSTON -- Opulence has returned to the Oscar Mayer Mansion in Evanston. The woodwork, the antique light fixtures, the leaded glass windows and the stair case have all been restored to their original glory and then brought into 2017 with the help of Barbara Bliss of Showhomes. Just last month Barbara and her team staged the home in hopes of enticing a buyer to the 7400 square foot, 2.65 million dollar property on Evanston's Forest Ave. Most of the 17 living spaces in the three story home are now decked out as it could be when a modern day family moves in. In the meantime it's Gary Kahn's to enjoy and breathe life into. Gary is the house manager for Showhomes. He moves from home to home as they are staged and sold. The Oscar Mayer Mansion is his 11th. It boasts six bedrooms, four and a half baths, a ballroom, massive ceilings and a restoration totaling over a million dollars. It may not sound like a big deal that Mike Callahan carries his wife, Janine, over the threshold whenever they move to a new address, unless you consider that the pair have moved 11 times since 2010. "Our kids think we're crazy," Janine Callahan said, but the vagabond life she has had with her husband in their empty nest years is a business. The Callahans are Chicago-area franchisees for Showhomes, a Nashville-based company that stages homes for sale with more than the usual rugs, lamps and table settings. At Showhomes, staging often includes people who move into the house until it's sold. "When buyers walk into the kitchen, open the cabinets and see all our things in there, it feels like a home they will live in," Janine Callahan said. "Not like a place that's artificially staged." The couple is now living in a 7,500-square-foot five-bedroom home on Woodgate Road in St. Charles. Priced at $1.75 million, it's a few miles from the 11,400-square-foot foreclosure they're seen moving into in the photo above, in 2012. The Callahans bring their own furniture, but Gary Kahn goes them one better. When he took up residence last month in the recently restored Oscar Mayer mansion in Evanston, his Tesla moved into the garage out back. "Even the garage is staged, with my car and a charger," said Kahn, who owns a medical products company and has lived in 11 North Shore homes since 2012 as a Showhomes resident "home manager." The conventional concept of staging homes with stylish new furnishings "is popular because it's hard to get buyers excited about an empty space," said Tim Calkins, a professor of marketing at Northwestern University's Kellogg School of Management. "But add people to that and you add a level of authenticity, a personality. You can certainly shape the perceptions of people who come to look at the house." "It's a chance to live large for less," Bliss said of the home manager job. To live in the house, home managers pay a monthly fee that's about half the cost of renting a comparable home, according to Matt Kelton, chief operating officer of Showhomes. Home managers also cover utilities and such maintenance details as snow shoveling. Home managers "are usually in some life transition," Bliss said. Many are relocated executives who don't want to commit to buying a home or empty nesters who "like the adventure of moving around to different homes a couple of times a year," Mike Callahan said. The job also appeals to recently divorced people who want to stay in or near the community where their kids are, Bliss and the Callahans both said, and to people who lost their own homes in foreclosure and are rebuilding their financial profile before buying again. They must be impeccably neat. "I only hire people who are basically OCD about keeping everything perfect in the house," Bliss said. Applicants get a thorough vetting, according to Bliss and Kelton, and are required to carry renters insurance for their belongings. Showhomes insures the properties on top of existing homeowners' insurance policies. For the sellers, "it provides a comfort level," said Carter Bearinger, whose 11,000-square-foot house the Callahans occupied for about eight weeks in 2012. The Bearingers had already moved to Florida, so their listing agent suggested bringing in Showhomes. "It relieved a lot of stress for us, knowing that they'd be there keeping an eye on the house so everything didn't freeze up in the winter," Bearinger said, and on top of that, "they baked cookies for open houses and made it feel comfortable and welcoming at showings." The monthly fee a home manager pays helps reduce the seller's staging cost, too. Renting furniture and accents for a big house can easily top $5,000 a month, Kelton said, "but if you have someone paying to be in there, that helps." Sellers don't pay the balance due until after the home has sold. Bliss, who's had the Showhomes territory on the North Shore for 12 years, said that the properties she has represented had been on the market an average of 417 days before listing agents brought her in, and sold in an average of 117 days after she did her five-day staging. Chicago is a big market for Showhomes, in part because a slow-to-recover market over the past decade left many big, expensive houses lingering on the market and in need of the extra marketing oomph that live-in staging might offer. In addition to the 28 lived-in Showhomes properties, there are another 16 homes franchisees have decorated but have not occupied. It's that time of the year when holiday decorations come out of storage, are dusted off and showcased throughout the home. Though homeowners are giddy to step up their holiday game, people with homes on the market may need to take a different approach. Showhomes Houston and San Diego owners, Shelley Barndollar and Lisa Gulliver, shared five pieces of advice for homeowners that are staging their home for a sale during the holiday season. While your home may go on sale during the holiday season, it may stay on sale past this time of the year. So, the home should not scream, "HOLIDAY SEASON!" "You don't want Christmas photos of the home showing up in June," said Barndollar. Instead, she advises that all homeowners take their staging photos without holiday decorations and with more neutral decor. While the real estate industry works 7 days a week, 365 days a year, it's in the homeowners' best interest to defer showings on a holiday. While this is sometimes impossible to avoid because home buyers may only be available for a short period of time, homeowners should try to avoid holidays. "In the event that a Realtor schedules a showing on a major holiday, the homeowner should still accommodate them," said Gulliver. "If you are in the middle of meal preparation or clean up, try your best to straighten up the kitchen and turn the stove down, and then go for a short walk to let them show the property." "When you are placing any new holiday decorations throughout the home, it's important to remember to replace them with your ever day decor instead of adding them to the existing decor," said Barndollar. During the home sale process, potential home buyers from all over are walking through the home, going through closets and checking out each area of the home. Security should always be top of mind. During the holiday season, this sense of security should be amplified. "You don't know who will be walking through your home," said Barndollar. "Make sure to stage your holiday presents. I would wrap four to five different sized boxes and have them under the tree, but don't put your real presents under there." Barndollar further explains that you don't want people seeing how many gifts you got and to potentially walk off with one of them. "As you decorate, it's best to keep the staging of the home in mind," said Gulliver. "When it comes to tree placement and additional decorations, remember that less is more." Bardonllar adds, "Don't go overboard. It's great to have a tree and garland over the fireplace, maybe just one or two really special tchotchkes that are non-denominational and tasteful. 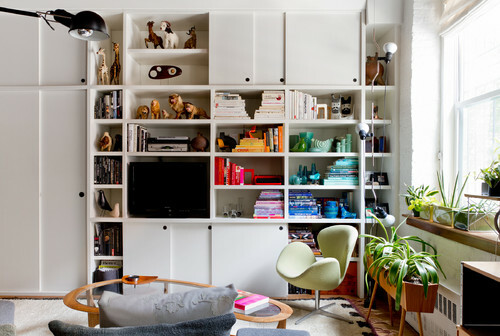 Keep all of your decor to a minimum." We spend a lot of time in our kitchens, whether we're cooking, eating, sharing a cocktail or enjoying family time, so it's no wonder we get bored with its design. However, updating your kitchen every few months or even once a year can be a time-consuming and costly project. ESTATENVY sat down with Showhomes Chicago Owner Janine Callahan who shared inspiration on how to freshen up different elements of your kitchen without breaking the bank. Kitchen cabinets are one of the first things to become most damaged in the room, and Callahan said you don't have to completely switch out drawers for a new look. "Painting your cabinets is a great way to make an impactful design change in the kitchen without having to spend a lot of money," said Callahan. "Dove white adds a pretty, classic finish, and replacing a few of your doors with glass panels can add an extra layer of spark." Adjusting the lights in your kitchen easily transforms the tone or atmosphere of the room. Callahan suggests adding pivot lights over your countertop or island. "Pivot lighting is an inexpensive option for updating the lighting in your kitchen and the style looks great with Edison bulbs, which are very much on-trend right now," said Callahan. While renovating your countertops seems like a pricey, long-term project, installing a backsplash of granite or tile in your kitchen is much less grueling and adds a layer of dimension. "Remnants of granite can be found for the price of a slab, and either a shop can cut and install it as a backsplash for you or you can make it a DIY project for yourself," said Callahan. "Tile also looks great for a more straight-lined style. You really can create your own look in this process." When it comes to switching up your kitchen sink and faucet, Callahan suggests choosing a layout that is practical to your meal preparation and cooking habits. "Think practical when updating your kitchen sink or faucet," said Callahan. "If you spend a lot of time cooking from scratch, for example, consider installing a double bowl sink so you have more room to cook and clean after meals." Sink and faucet updates tend to be relatively cheap with the right material and installation. Freshening up any area of your home can be quick and cost-efficient by adding unique pieces of decor and furniture. 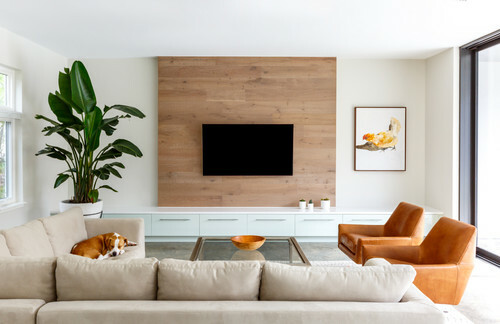 However, Callahan warns that if you're looking to sell your home, make sure not to distract potential buyers with large, eccentric furniture from the interior parts of your home. "You can find really pretty, interesting stools, kitchen tables and other decor at consignment shops or even garage sales," said Callahan. "If your house is up for sale, make sure the furniture is rather plain so that it doesn't take away from the interesting parts of your home, like a beautiful kitchen countertop or sink." Janine also suggests utilizing cooking products like olive oils and salt shakers and arranging them on top of a tray so that they look intentionally decorative and organized. Finding the time and effort to revamp your kitchen might seem like an effort, but with these helpful, affordable tips from Callahan, your kitchen can be effortlessly transformed. Interior and exterior home design trends change every season, and vary depending on what part of the country you are in. Because it is important for home staging professionals across the country to keep up with the latest trends, 1851 Franchise Magazine connected with Showhomes franchisees from Charlotte, North Carolina; Minneapolis, Minnesota; Coral Gables, Florida; and Pasadena, California, to learn more about what is resonating with home buyers and sellers in their areas. Fueled by an interest in home design and decorating, Jensen started working with Showhomes as a Home Manager in 2003, and she recently assumed ownership of the Minneapolis franchise in April 2018. Since becoming a franchisee, Ann has observed that many home buyers in Minneapolis are interested in casual dining areas and flexible work spaces. "A number of years ago, many homes had a formal dining room, but I've recently noticed that home owners like to have an open concept space that flows into the kitchen and the living room," Jensen said. "People want to live both comfortably and richly in their homes, and this desire comes into play when they envision entertaining their guests." Jensen said technology has also impacted home designs and layouts. Because people use cell phones and laptops to do business in their houses, there are fewer homes with designated office spaces. "Technology has allowed us to become more mobile within our own homes, so people do not have as much of a need for formal work spaces," Jensen said. After moving away from the Midwest and opening Showhomes in Pasadena, Hawkins noticed that homes in California have unique designs and layouts. "Due to Southern California's large population, there are a lot of smaller homes on the market, which means using space efficiently is very important here," Hawkins said. "When staging, we try not to clutter the space by using basic pieces of furniture, and we use accessories and artwork sparingly." According to Hawkins, the weather in Pasadena also plays a role in the way homes are designed and staged. "Outdoor living is a part of the lifestyle here, so landscaping is key," Hawkins said. "Due to water shortages, we have a lot of desert landscapes and plants that are drought tolerant. We are also blessed with flowers year-round, so people have a lot of fruit trees and roses in their yards." Home buyers in her market are looking for open floor plans that allow for flexibility, so Salas appeals to them by creating floating rooms where furniture is placed away from the walls. "Home buyers often have a tough time visualizing how to use a space efficiently, so we help them with furniture placement," Salas said. "In the past, furniture has been pushed up against the walls, but floating rooms are becoming more popular because they make a space look and feel larger." When choosing the colors and patterns of furniture, artwork and accessories, Salas takes her surroundings into consideration. "Many of the homes I stage have pools, so I tend to use a lot of blues, greens and teals," Salas said. "Those colors also complement the beautiful blue sky that we have most of the year." According to Apa, people frequently shop for new houses online, which impacts the way she stages her homes. "Over 90 percent of buyers are looking on the Internet to shop for their new home, so houses that look clean, fresh and new appeal to them," Apa said. "The use of professional photography to show what the homes look like is important as well." When staging her homes, Apa also tries to achieve balance with color, texture and accents. "From what I am seeing, the neutral colors such as grey and beige are popular with one or two colors as accents," Apa said. 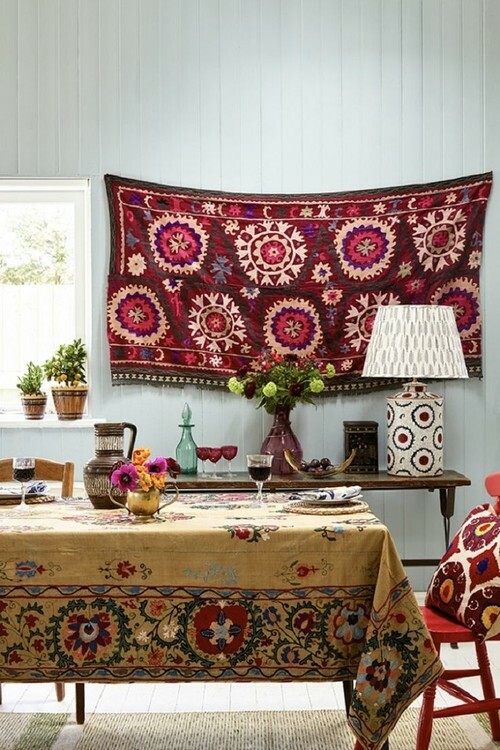 "The accent pieces have texture, design and a bit of color. We staged a home that had a grey exterior with a teal front door. We were able to incorporate these colors in the interior of the home, so we brought the outdoors inside." The highly anticipated 2018 home selling season is almost here and for the many homeowners that are planning on selling their home this year, there are certain steps to take to ensure they are fully prepared for a successful season. Marisa Salas, the Showhomes franchisee in Coral Gables, Pinecrest and Key Biscayne provided five helpful tips for homeowners who are looking to get their homes ready of the busy home selling season. Showhomes is America's largest home staging franchise, and its franchisees across the county help homeowners sell their home significantly faster by staging their home once it goes on the market. While this should be done year-round, the months before putting your home on the market is a great time to go through your old items and get rid of anything you don't need anymore. I always recommend people getting a hamper to put old items in throughout the year. If your son grew out of his shoes in December, put them in the hamper. If you don't use your old VCR, put it in the hamper. This will decrease the buildup and make spring cleaning easier. When you put your home on the market, whether you use a home staging company or not, you should be putting everything that is on your counters and tables away. Proactively doing this before putting your home on that market is a great idea. I also tell my clients that this is pre-packing, so it will help you be proactive in the packing process. No matter how bad your winter season is, it is always necessary to do a deep clean inside and outside your home. In Florida, I notice a lot of people don't wash their screens and windows as thoroughly as they should. This causes less light to shine into the home, which looks bad when people are touring. In addition, it is important to do a cleanse of your outside areas. Having an outside living area is a huge plus no matter what part of the country you live in. Being able to show this to potential sellers can really make a difference. Finally, if you have pet, it is important to get rid of all their hair. Aside from people's preferences about animals, many people are allergic to animals, which could be a huge issue if someone is touring your home. As we get into the spring season, the popular colors are changing from warm muted colors to bring and vibrant colors. It is important to invest in bringing accent colors into your home with pillows, vases and artwork. I always recommend people to accessorize with matching colors to the artwork to tie the whole room together. Right now, in Florida, blues, light greens and whites are super popular. Another accessory that many people overthink is using fresh flowers. During the spring season this is a great idea to brighten the inside of a home, especially if potential buyers are touring on a dreary day. I recommend people putting flowers on their coffee table, kitchen island or counter and in the master bathroom. The phrase, 'you only get once chance at a first impression', holds true also with homes. It is important to put a lot of effort into increasing your curb appeal. This means to touch up your lawn and garden. After the winter season, there can be old leaves, dead grass and flowers or trash on your lawn. It is worthwhile to invest in cleaning up your lawn and planting new grass or flowers to make the first impression of your home the best possible. As you are decluttering your home, keep in mind to take away any personal items. This doesn't just mean to hide personal information like your checkbook or passport but also anything that personalizes your home like beauty products, vacation souvenirs or an abundance of family photos. Buyers want to be able to visualize themselves living in your home so providing a clean slate is a great way to create this possibility.